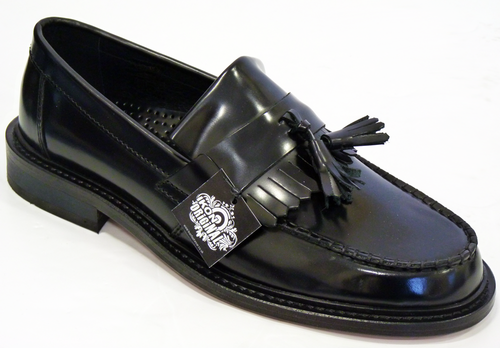 IKON ORIGINAL 'SELECTA' MENS RETRO SIXTIES MOD TASSEL LOAFER SHOES (Black Leather). An iconic and classic Mod style, the Selecta Mens Tassel Loafers by IKON ORIGINAL exude a suave and debonair Retro aura and go perfectly with smart, tailored Mod Clothing as well as the more casual look. Complete with Retro Sixties tassel apron detail which acts a neat cultivated fringe to the tied tassel feature that sits on top. A Mod footwear masterpiece, 'Selecta' by IKON ORIGINAL. 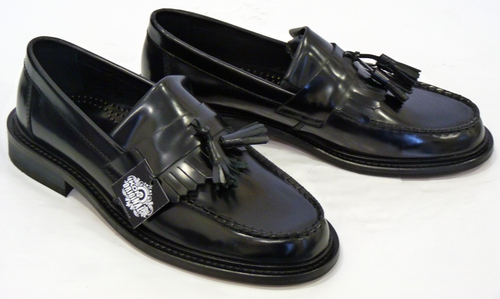 In classic black high shine leather, these 'Selecta' Mens Tassel Loafers combine effortless Mod charm with a sturdy construction and Retro finesse. 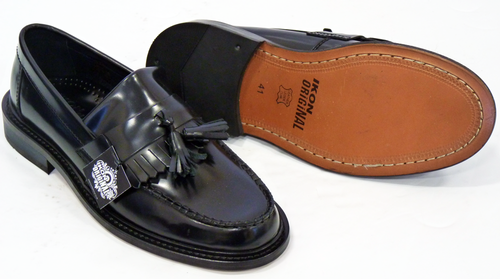 Complete with Retro tassel apron detail, classic block heel, loafer stitch front and stylish rounded toe. 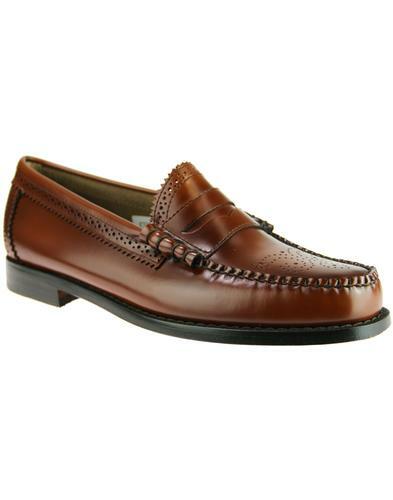 Slip on shoes with traditional Vintage look outsole and nice stitch panel feature to heel. Sophisticated Retro Mod Mens shoes, the IKON ORIGINAL 'Selecta' Tassel Loafers are a great addition to any footwear collection. 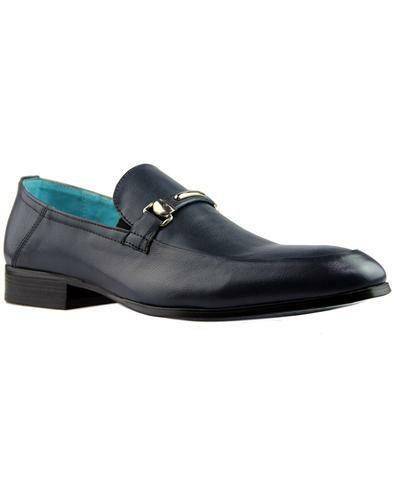 IKON ORIGINAL 'SELECTA' MENS RETRO SIXTIES MOD LEATHER TASSEL LOAFER SHOES. 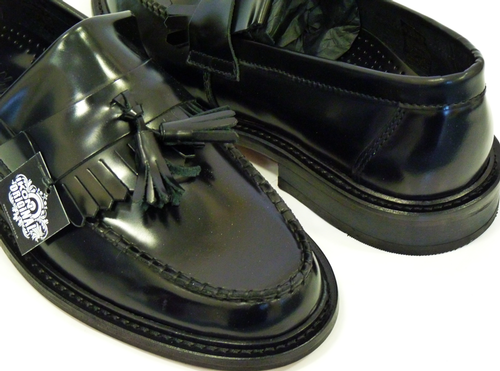 'SELECTA' MENS RETRO SIXTIES MOD TASSEL LOAFER SHOES by IKON ORIGINAL - Mens black leather Mod tassel loafers with fringed apron and Retro tassel detail, classic stitch loafer front, panel to heel and classic block heel. Slip Mens shoes that also feature leather outsole. Brand: IKON ORIGINAL Mens Footwear. 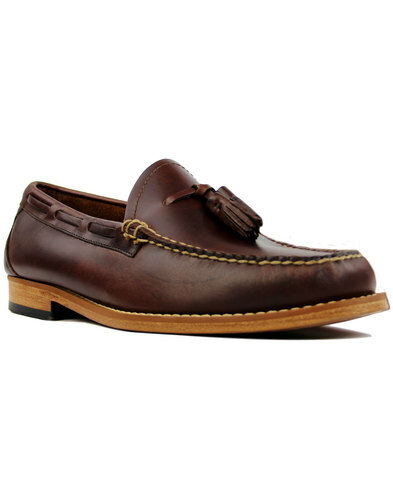 SKU: 'Selecta' IKON ORIGINAL Tassel Loafers. 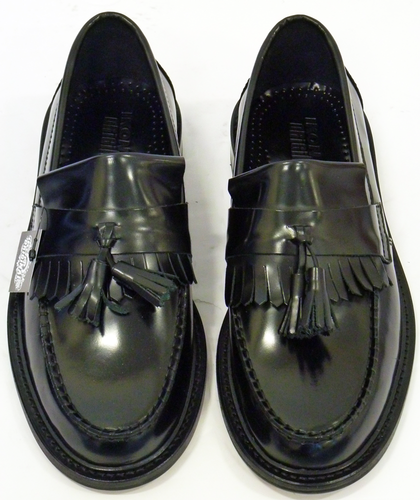 IKON ORIGINAL 'Selecta' Mens Retro Sixties Mod Tassel Loafers.